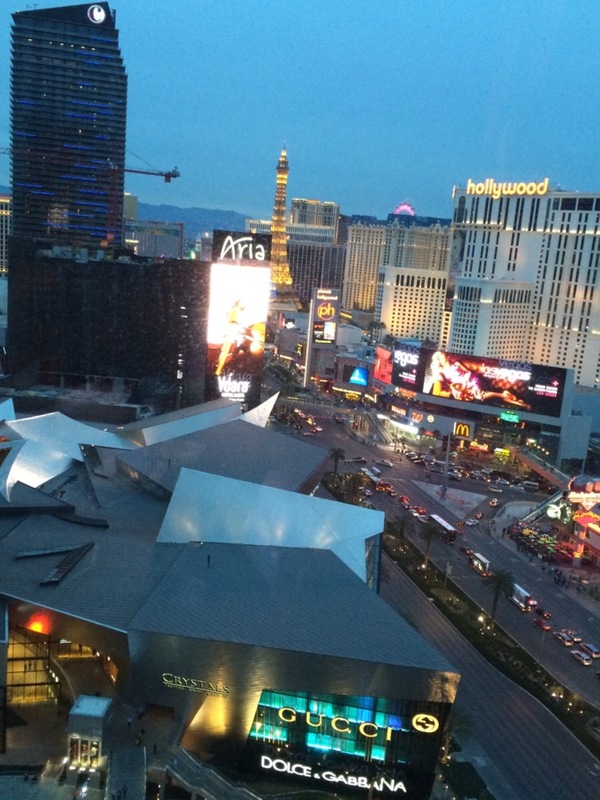 The strip can be sensory overload, flashing lights and neon, sounds of slot machines and crowds of people. Now imagine, literally, being above it all, like you’re floating up in the clouds. Soothing tea, peaceful music, quiet conversations, this is the tea lounge at the Mandarin Oriental. 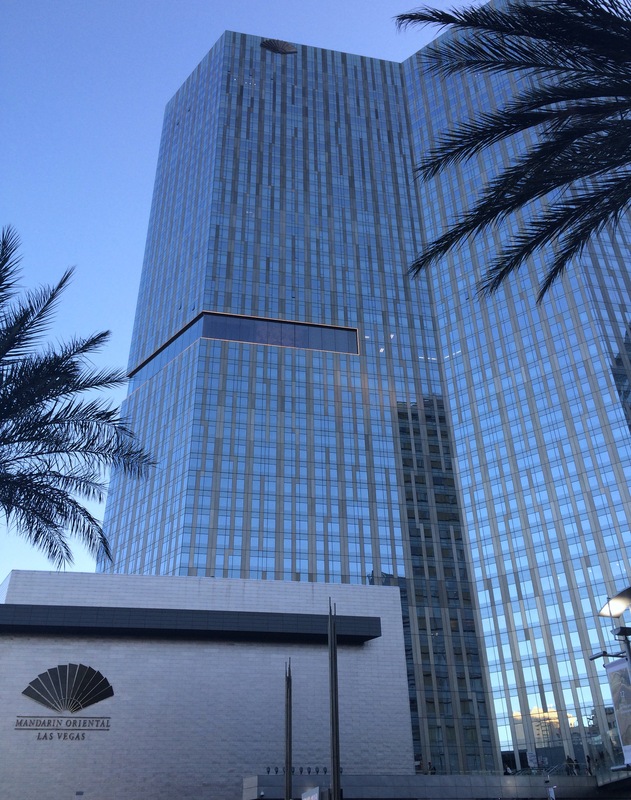 With its floor to ceiling windows and views right up the center of the strip, you are truly above it all. Taoist believe doing a little, is better than doing a lot. This statement explains your arrival to the Mandarin Oriental hotel. You enter from an isolated driveway, hidden from the strip, and walk past huge urns into a bare, nondescript lobby. The real lobby is on the 23rd floor, next to the tea lounge. When you arrive on the 23rd floor, there are no erupting volcanos or giant lions to greet you, only Vegas as seen from 23 flights up. You can even see the area from the ground, as it looks like the builders cut a slice out of the exterior walls and replaced them with glass. The tea lounge, like the entrance to the Mandarin Oriental, is nothing elaborate, just a few couches and velvet chairs in the section separating the check-in area from the Mandarin Oriental Bar. 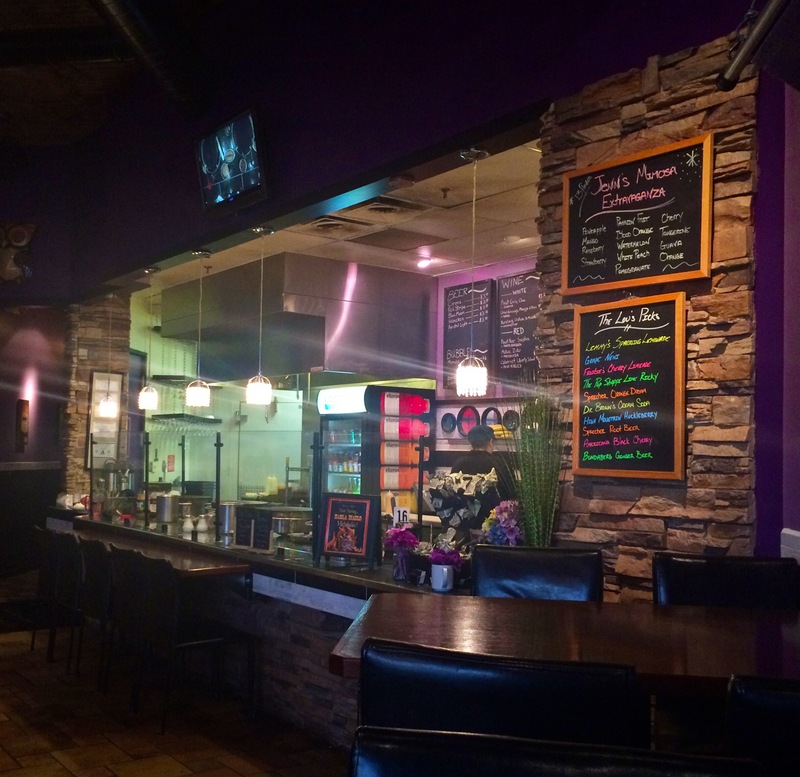 Like most places on the strip, the tea lounge is not about stretching your dollar. I’ve been to other tea times that offer more food for less money, but I don’t think there is a more peaceful place on the Strip. We opted for the vegetarian selection of sandwiches with our tea, which you can call ahead and request. The vegetarian option featured little cones, filled with roasted vegetables and hummus, as well as cucumber and tomato sandwiches. My tea, Peach Artisan blooming, and for dessert, a selection of pastries from Chef Phillepe Angibeau. While my taste buds usually favor the savory over the sweet, the pastries were a highlight of tea time. The view up the Strip from the Tea Lounge at the Mandarin Oriental. I think this is a must visit for anyone looking to escape all the commotion of the Strip and float up in the clouds above it all. I would suggest visiting the tea lounge at the Mandarin Oriental during the winter months when the sun sets earlier in the evening, giving you a chance to see the Strip “turn on” as as the sun sets.